The cake reminds me of my mother, because it was one of her specialties. I bake it often for family parties, and it always brings back fond memories. 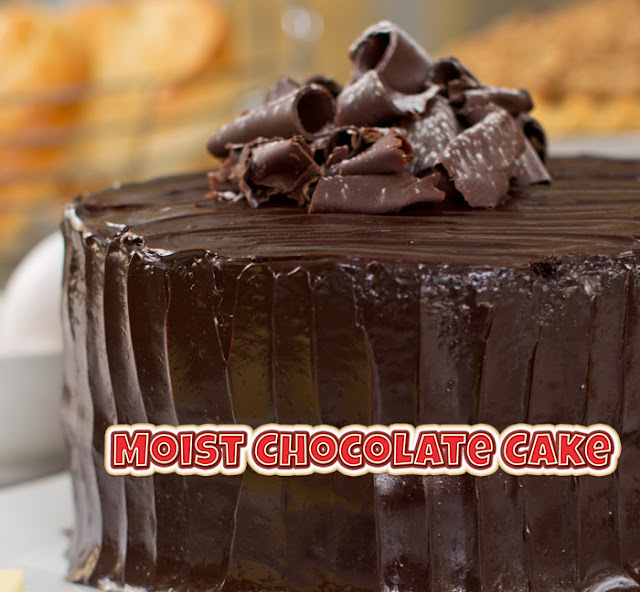 The cake is light and airy with a delicious chocolate taste. This recipe is a keeper! 1. Preheat oven to 325°F. Line with baking paper two 9” round pans. Set aside. 2. Combine flour, baking powder, baking soda and salt in a bowl. Set aside. 3. In another bowl, combine cold water, cocoa and vanilla. Mix until smooth and set aside in the refrigerator. 4. Cream Butter-licious! and sugar for 10 minutes at medium speed. Add eggs one at a time, beating well after each addition. At low speed, add dry ingredients alternately with cocoa mixture. Mix until smooth. 5. Divide and pour mixture into prepared pans and bake for 25 to 30 minutes or until done. Invert cake and let cool. 6. Mix fudge ingredients in a saucepan. Cook over medium heat until slightly thickened. 7. Put cake on top of cooling rank. Pour over warm icing on top of cake.